India-Pakistan: Ties Finally Looking Up? http://www.foreignpolicyjournal.com/2015/12/09/india-pakistan-ties-finally-looking-up/ The joint statement of the National Security Advisers (NSA) of India and Pakistan at the end of their secret meeting in Bangkok on 6 December has buoyed expectations. Not only does it closely precede the visit of India’s foreign minister to Islamabad for the Heart of Asia conference on Afghanistan this week, but it also heralds the visit of India’s Prime Minister Narendra Modi to Islamabad for the South Asian Association for Regional Cooperation summit. The initiative was result of the short informal meeting between the two prime ministers at the climate change summit in Paris. It retrieves the ground lost since the last minute cancellation of the NSA meeting in August over a disagreement on whether the agenda should include Kashmir or be restricted to terrorism. Pakistan wanted to undo what had been agreed at the meeting in Ufa, Russia, on the sidelines of the Shanghai Cooperation Organization (SCO) between the two prime ministers reflected in the joint statement of the two foreign secretaries that left out mention of Kashmir. That both terrorism and Jammu and Kashmir (J&K) were discussed at Bangkok shows the two are beyond this particular hurdle. The canceled meeting of August was in wake of two terror attacks that were taken in India as the Pakistani army’s manner of registering its disapproval of its government’s agreement to an agenda without Kashmir. Pakistan soon thereafter replaced its national security adviser with a former military man. This switch incentivized India in that it could now consider dealing with a credible interlocutor. The secret meeting also shows a shift in India’s strategy. The early promise of the Modi government of better India-Pakistan ties, evidenced by Modi’s invite to Nawaz Sharif to attend his swearing in in May 2014, was dissipated in the cancellation of foreign secretary talks soon thereafter in August of the same year. India kept up the pressure with partial activation of the Line of Control by fire assaults by India, seemingly in response to spurt in infiltration bids from across. These duels spread to the international border sector also. This year has seen India exercise elements of all three of its geographic field armies facing Pakistan, including two strike corps. There were also insinuations in Pakistani media of covert Indian assistance to dissident militant groups in Pakistan. This phase of strategy can now be seen to be shoring up of its fences by the new Indian government before it ventured to mend these. The idea appears to have been to go in for talks from a position of strength. 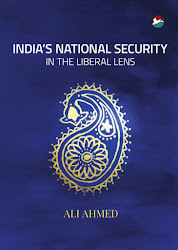 For its part, Pakistan has gained confidence in setting back, through military and ranger operations in Khyber Pukhtunkhwa and in Karachi, elements it alleges have had Indian intelligence backing and gains the Taliban, allegedly with its backing, have made in Afghanistan. 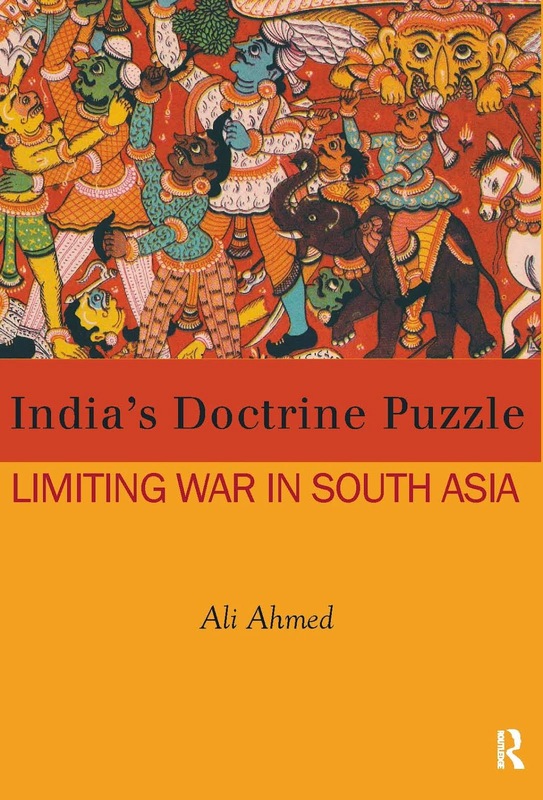 The very fact that the talks have taken place in secret and outside the region suggests that even a conservative-realist government in Delhi needs to tread pragmatically. While the talks have been a step ahead, it is only the first. The vision of the two prime ministers for a ‘peaceful, stable, and prosperous South Asia’ requires many more steps to follow. What should these steps be? The first steps would necessarily be on atmospherics. The visits by the foreign minister and prime minister in quick succession can revise the tone of the relationship. Since the Pakistan army appears to be on board this time, India has the assurance that there would not be another Kargil-on-the-make as was the case last time when the last BJP Prime Minister Vajpayee went to Lahore to fix the relationship in 1999. A resumption of cricketing ties, awaiting a green light from India’s foreign ministry, can now be expected. The two teams have been poised lately to play a short one-day series, but in Sri Lanka.However, on atmospherics, the more important front is to manage the internal perceptions of the ‘Other’ state. In Pakistan, the extremist leader Hafeez Sayeed has already chipped in with his criticism. In India, the Congress opposition, while overall supportive of improved ties, has registered its reservation on the unpredictability in the government’s Pakistan policy. More significant in India are the voices in the government’s own camp that require managing. Lately, there have been several statements by right wing politicians dragging Pakistan into their point-scoring against India’s largest minority, its Muslims. This has prompted the ongoing ‘intolerance’ debate in India. From the ‘intolerance’ debate, the prospects of this do not appear bright since Modi has chosen not to rein in the cultural nationalists, his support base. It is possible he might choose to keep silent, since it would also enable him an alibi against moving further than he might like on repairing fences with Pakistan. Among the final steps figures a return to the start point made available by the back channel in the first tenure of the predecessor government of Manmohan Singh. The memoirs of Pakistan’s foreign minister in the period, Khurshid Mahmud Kasuri, reveal the possibilities. However, ‘resolution’ along those lines, may not be the destination either Modi or his National Security Adviser, Ajit Doval, have in mind. 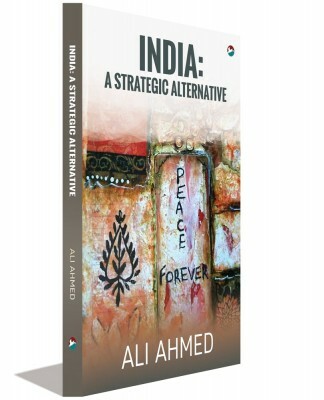 As hardliners, they may believe that India does not need to make any concessions to buy peace, preferring Pakistan fall in line overawed by India’s rise. In the interim, both governments would likely consolidate the beginning made. At a minimum, India would be looking to keep a mega-terror attack from diverting its economic trajectory into a conflict with nuclear portents. Pakistan for its part would like India to ease up on intelligence, diplomatic, and military pressure. That the two foreign secretaries were also present at Bangkok suggests a broader agenda than merely security. Therefore, it is clear that Modi’s next, if yet-to-be-announced, foreign stop Islamabad would likely be his most important. It remains to be seen if, as has been his wont in using his numerous foreign visits for positioning India favorably, he is able to finesse Pakistan.